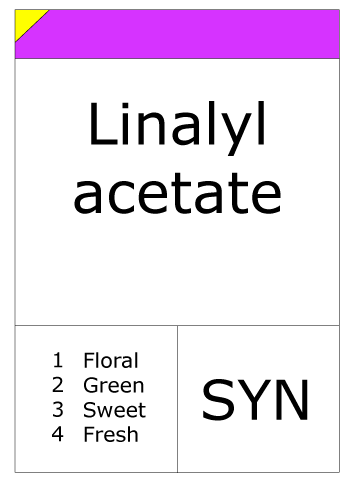 Linalyl acetate is a naturally-occurring phytochemical found in many flowers and spice plants. It is one of the principal components of the essential oils of bergamot and lavender. 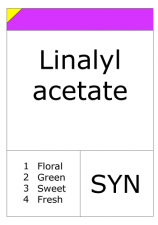 Synthetic linalyl acetate is sometimes used as an adulterant in essential oils to make them more marketable. For example, it may be added to lavandin oil which is then sold as more desirable lavender oil.